The state government may have contradicted its own planning advice by approving the Golden Plains wind farm, lawyers say. The state government’s environmental effects and planning assessment report for the project states “no other wind farm in Victoria has been approved with such small buffers” of 700 metres – guidelines state 3.2 kilometres is required from brolga nesting habitats. “If the (environmental effects) panel were to support (project proponent West Wind’s) reduced buffers in the absence of a high level of confidence that reduced buffers were appropriate, the value of the guidelines would be significantly undermined,” the report states. The state Planning Minister, Richard Wynne, received this advice in September. “The environmental effects of the project as I have recommended be modified will be acceptable, subject to the findings and recommendations of my assessment particularly those relating to brolga,” he wrote in October. The permit was approved in December, three days after three landholders launched a Supreme Court action against the Minister. Previously, WestWind has said the 228 planned turbines could be redistributed inside the smaller area. Noise monitoring was also a concern- a pre-construction assessment must be made to determine background noise audible from dwellings, from an approved auditor. “A noise permit condition requires that another extensive pre-construction noise assessment will be completed once a final turbine manufacturer has been selected,” they said. Representing the three neighbouring landholders in the case, lawyer Dominica Tannock said the project needed appropriate scrutiny. “We said best case scenario should be 131 turbines (with the proper buffer zones). In October, the Minister assessed 181 turbines would be acceptable,” she said. “But in December, the Minister decided to grant a permit for 228, in other words he overturned his own assessment. The case returns to the Supreme Court in February, and the project still requires federal approval. The Minister was contacted for comment. Previous Post ‘Mortlake South Wind Farm transmission lines will be installed underground’. 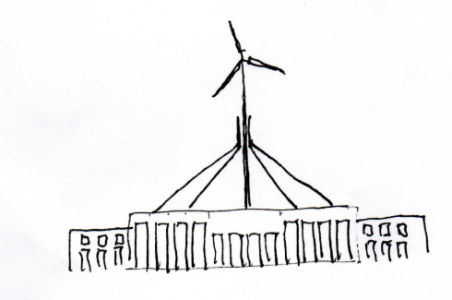 Next Post ‘Major crisis’: Wind farm fears in wake of Labor’s climate policy.